I've been largely ignoring the new Primaris space marines in favour of my old school Dark Templar marines, but when I saw the new Reivers being previewed they really caught my attention. Today a plug and play version went on sale and I couldn't resist. 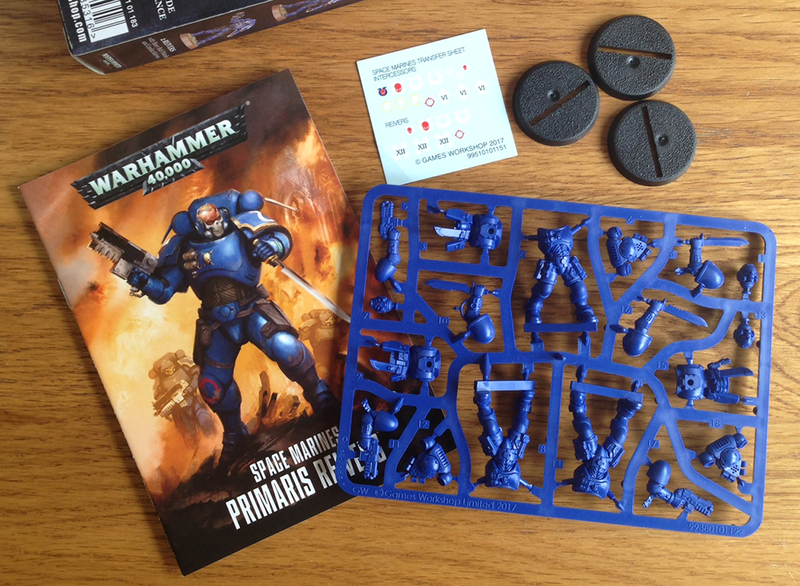 The box costs £10 for 3 models – pricey if you consider a Tactical Squad of 10 models plus lots of bits costs in the region of £25 – and contains a single blue plastic sprue containing the models, plus slotta bases, transfers and a small booklet. There are no extra bits on the sprue – each marine being made up of 2-part body plus backpack, arms and head. 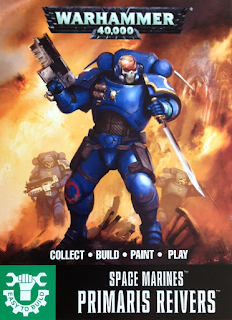 The booklet contains building instructions, a quick painting guide and the Reiver datasheet (in at least half a dozen languages) and feels less useful than it should be. The quality of the plastic is good, with a decent amount of detail without going overboard (like many of the GW releases). 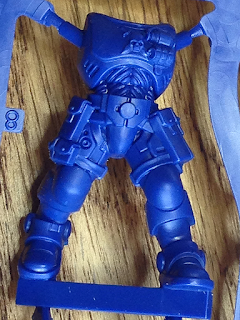 Each piece will quite literally plug into the body so you don't have to use glue if you don't want to – GW pushes this big time as a selling point. I wasn't convinced that the pegs would work as well as I'd like, so for my first model I trimmed them all off – the idea being that this would give me more freedom with the posture. The two body halves went together perfectly, as did the head. The backpack and arms proved a little more tricky as, without a reference point, it was easy to glue them off balance (no shoulder pads to hide mistakes). However, experienced prevailed and the model was completed without much fuss. 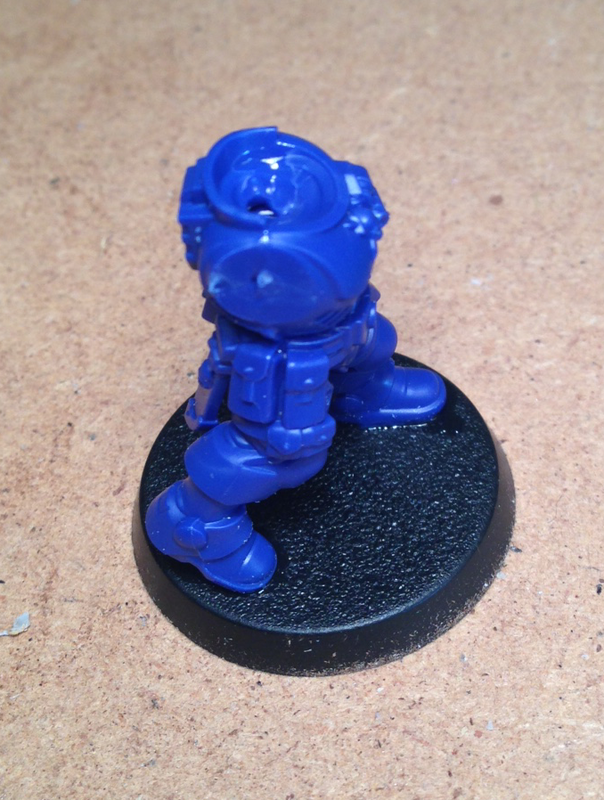 I even clipped the tab at his feet and stuck him on a traditional round base rather than the slotta (I like to glue 2 pence pieces under the bases for added weight which would be impossible with a slotta style base). To mix things up and for experimental purposes, I put the other two Reivers together using the pegs – or rather the pegs for the arms and backpack. I still trimmed the body pegs for a smooth fit and stuck them on regular bases. 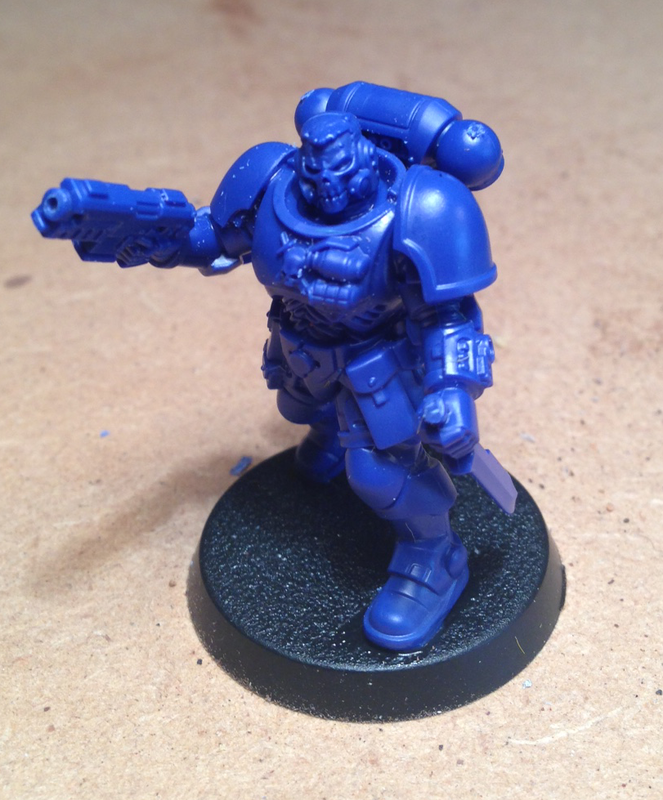 I have to say that I am rather impressed by these models. The models from the Dark Imperium box set do feel a little superior, whilst these feel a little bit like the 'soft' scouts models currently available. Yet, given my expectations weren't very high to begin with, these do seem like decent models. Are they worth £10 for 3? I'm not sure they are, but if you bought the new 'First Strike' starter box set they work out close to half price because they're packaged with other Primaris and some Death Guard equivalents. I am glad I bought them though, especially if they life up to their hype on the battlefield! 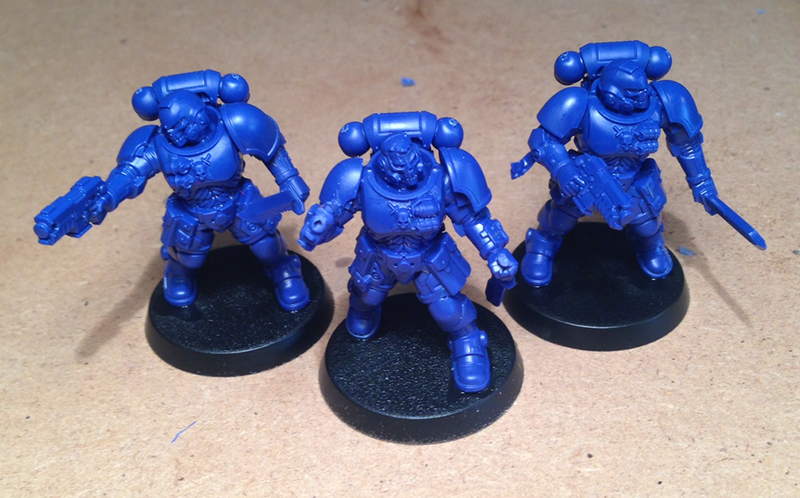 Now they just need some suitably Dark Templar colours on them. It is very clever indeed. They have now been based and will see base coats imminently! I've got some on order myself from my local stockist, looking forward to getting them on the tabletop myself. I'm not convinced 3 is going to be enough in a game – luckily there is a 10-man box coming! Impressive looking models, the blue plastic makes me reminiscing of the old Space Crusade game though 😁. That's funny – I had the very same thought as I was building them, just the details are more pronounced here. Was considering picking up the First Strike set purely for these figs (The Nurgle stuff will be an early bday present for my son). Which chapter are yours going to be painted as?